Initially released in November 2008 as Windows Mobile, Windows Phone began as a Windows Mobile update which was codenamed “Photon.” As an operating system, Windows Phone is not backwards compatible due to the time limitations that the team faced during development. In 2015, Windows Phone was replaced by Windows 10 Mobile which boasted a unified unified application ecosystem, and an expansion of its scope to include small-screened tablets. Currently, Microsoft is seeking to unify their applications which means that many developers are remaking their applications as Universal Windows apps as the ROI on maintaining a stand-alone Windows Phone app is too little. Applications built for Windows Phone are available via the Windows Phone Store (previously known as the Windows Phone Marketplace). In March 2016, Windows Central reported that Microsoft’s Windows Phone Store boasted 500,000 apps, just one-third the apps found on Google Play and Apple’s App Store. 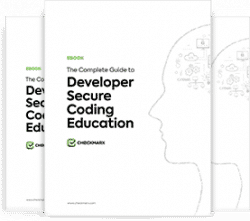 As the content consumed around the globe shifts even further from web-based content to content consumed on mobile, it’s critical that anyone developing software for mobile devices is committing to proper security throughout the development cycle. Applications for Windows Phone are written C++ which presents security concerns for developers and users alike. Checkmarx’s CxSAST, a static code analysis solution, stands out amongst Windows Phone testing solutions as not only the solution which will keep your Windows Phone code free from security and compliance issues, but also as the tool which will contribute to your organization’s advancement when it comes to application security maturity. When vulnerabilities are detected in the Windows Phone code, CxSAST will not only identify the best fix location, but will also offer resources to the developer to understand how the attack vector work as well as remediation advice which will help them ensure similar mistakes are avoided in the future.